Roaring Brook Press, 9781596439849, 40pp. Miranda Paul has written everything from articles on gardening to poems about the life cycle of a butterfly. She lives a short drive from the shoreline in Green Bay, Wisconsin, with her husband, children, and two friendly cats who love taking baths. Are We Pears Yet? 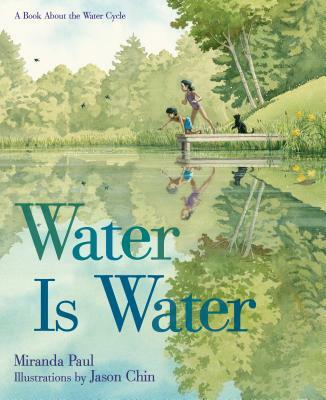 is her second book for Roaring Brook Press following the acclaimed Water Is Water.